Editor’s Note: Sadly, with the release of OS X Yosemite, this is no longer possible. If this changes, we’ll let you know. Until then, we’ll be super sad. 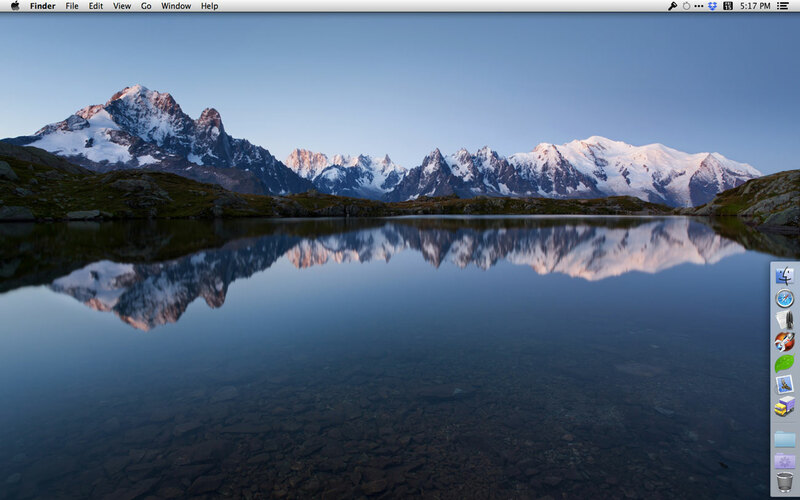 In this author’s humble opinion, the best place for the OS X Dock is on the right-side of the screen and pinned to the bottom (instead of floating in the middle). It’s a pretty simple trick — you can move the Dock around all you want with a single line of code in the Terminal and a reboot of the dock. 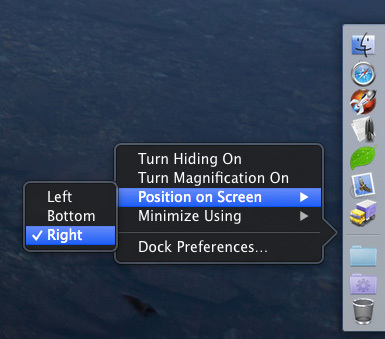 To start, if your Dock isn’t already on the right (or left) side of your Desktop, you can easily move it by Control+Clicking on that little dividing line, and choosing your preferred position on the screen. Or if you’d rather pin the dock to the top or back to the center, simply replace the last word of that line (end) with either start or middle respectively. If fiddling in the Terminal freaks you out, there is the more-than-capable app, Cocktail, that lets you adjust all sorts of settings for your Mac, not just where to pin the Dock.